Apple released details about its newest product today in Vogue, almost a month before the Apple event rumored for March 15. Although this reveal was a departure from the company’s standard keynote unveils, the choice to announce the new product in the pages of Vogue certainly fits with its growing shift towards high fashion. 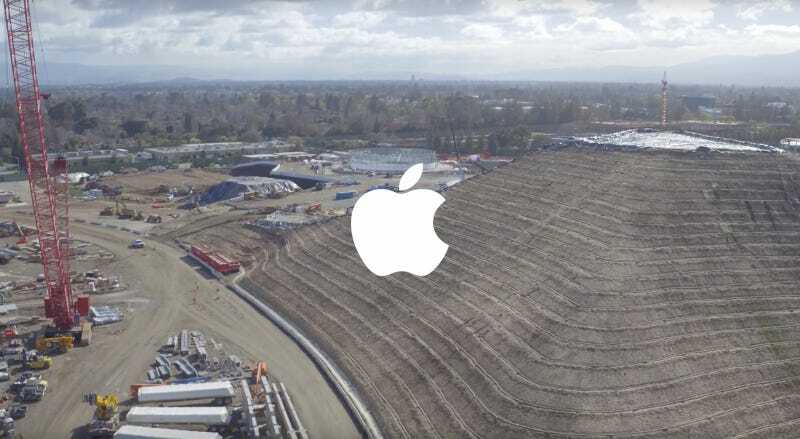 Tim Cook introduced Hill while standing on Apple’s under-construction campus, where the gigantic earth-toned pyramid is already upstaging the incomplete $5 billion Norman Foster-designed building. “Hard to know which is more beautiful, the building or that pile of dirt,” Cook said about Hill. So far Vogue writer Rob Haskell seems to be the only journalist to get a hands-on review of Hill. He describes it as “Giza brought to Cupertino,” with smooth, stepped surfaces. Those who have become disillusioned with Apple’s lack of meaningful innovation recently will definitely be pleased with this breathtaking new design direction. Cool. Nice pile of mud.